The only thing worse than enduring a disaster in your kitchen is knowing one of your best friends is enduring a disaster in your kitchen…and you’re not there to commiserate. When my friend Paige was in town last month, she spent one afternoon making 60+ cookies for a bridal shower she was attending while in town. Her intentions of making striped piñata sugar cookies, while good, were unfortunately a far cry from reality…and I say that in the most loving of ways. Paige’s disaster ended up being a win for me, because the extra “Easter Egg” cookies she ended up with were left to my disposal. 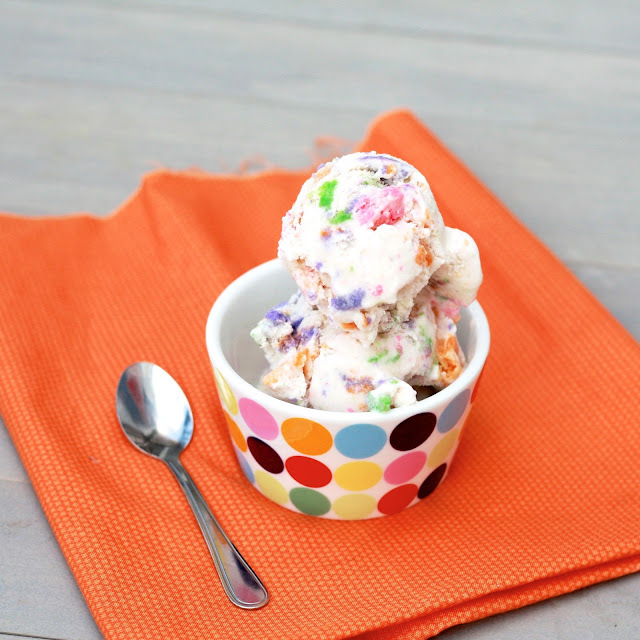 Having recently seen Sugar Cookie Ice Cream on Beantown Baker (albeit, made with sugar cookie bars and a non-dairy base), I sensed the rainbow of colors would look just right scattered amongst a vanilla ice cream base. Unfortunately Paige left before she got a chance to sample the fruits of her labor, but I did enough sampling on behalf of both of us. 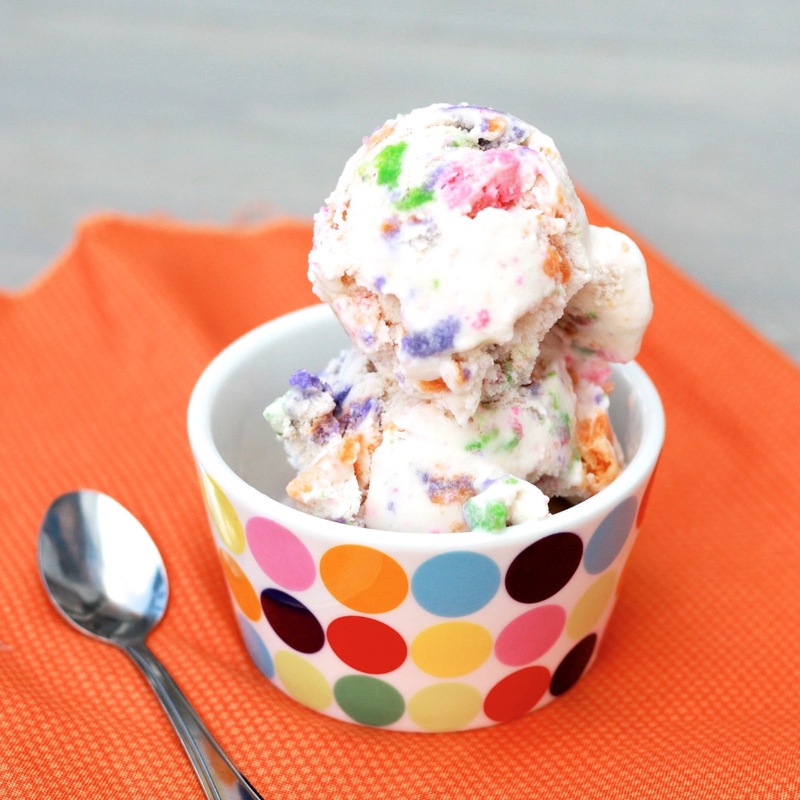 While the bright chunks of cookies made for a pretty ice cream, you could certainly use plain-colored. The end result is all the same—a creative, not at all disastrous, take on cookies and milk! 1. In a medium saucepan, heat the milk over medium high heat. Stir in the sugar, cooking until dissolved. Pour into a separate bowl and stir in the heavy cream and vanilla. Cover and refrigerate overnight. 2. The next day, freeze according to your ice cream maker's instructions. 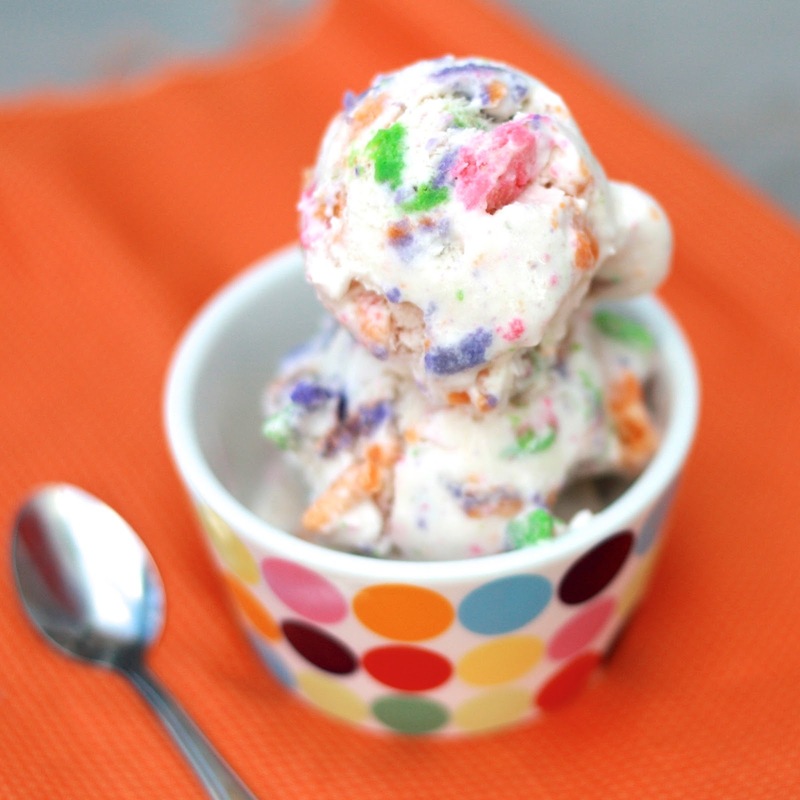 When ice cream is nearly finished churning, add the crumbled cookies.